It’s been quite awhile since I’ve written. In between helping my girl prepare for her year-end exams and vetting testimonials, three out of four of us were actually down with HFMD, which eventually caused my girl to miss one of her Chinese papers. Same paper she missed last semester – which means she has no Chinese results for the entire year! 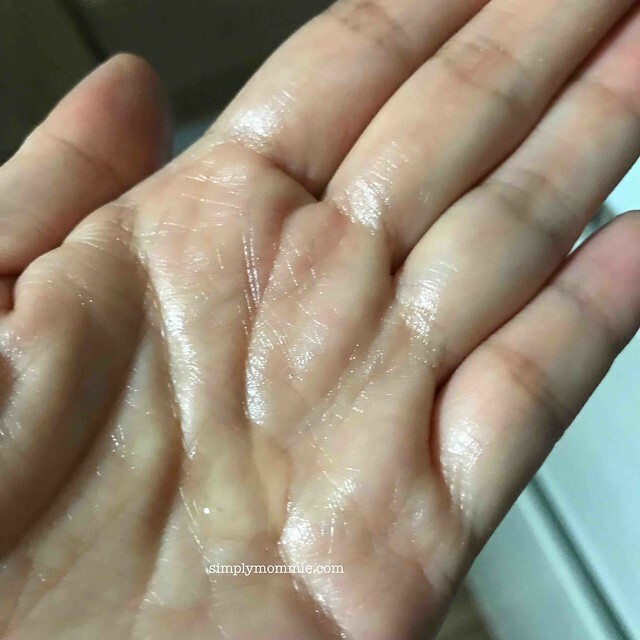 Amazingly, she’s still recommended to do Higher Chinese again next year… haha..
Now that we’ve gotten all of that out of the way, here’s my late review of Dermagold’s award-winning Purifying Scrub. It works best with the Brightening Revitaliser (BR) so they kindly sent both over for review. 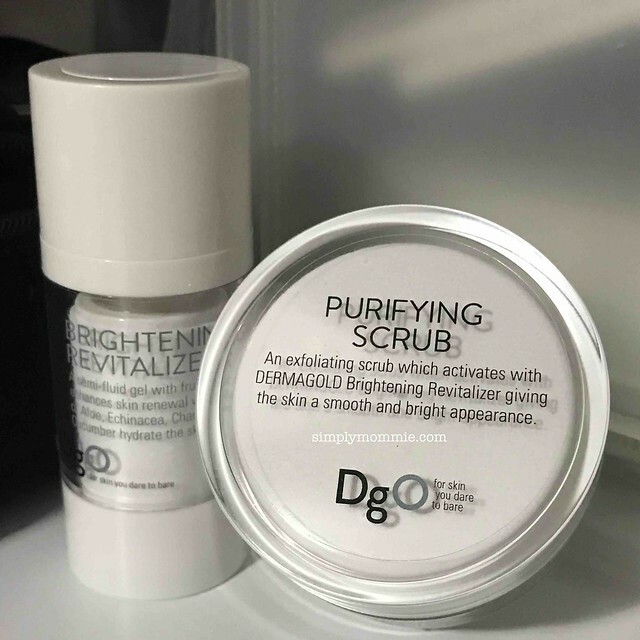 I love scrubs because they leave the skin feeling so smooth and soft, but unlike others, Dermagold’s Purifying Scrub actually has a lasting effect for me the next morning. I think this might have to do with using the Brightening Revitaliser together with the scrub. So basically, cleanse and wash your face, then use the scrub. Before washing away the scrub, apply and massage in the BR, then wash your face. A little of the Brightening Revitaliser goes a long way! As with other products by Dermagold, such as Miracle C+ and Skin Elixir which I have previously reviewed, the products are all formulated for even the most sensitive skin so I have no qualms about trying these out. The scrub is mild and gentle, containing tiny particles of crystalline salts and grainy ascorbic acid (Vitamin C) found in natural plant oils such as seabuckthorn, jojoba oil and shea butter. 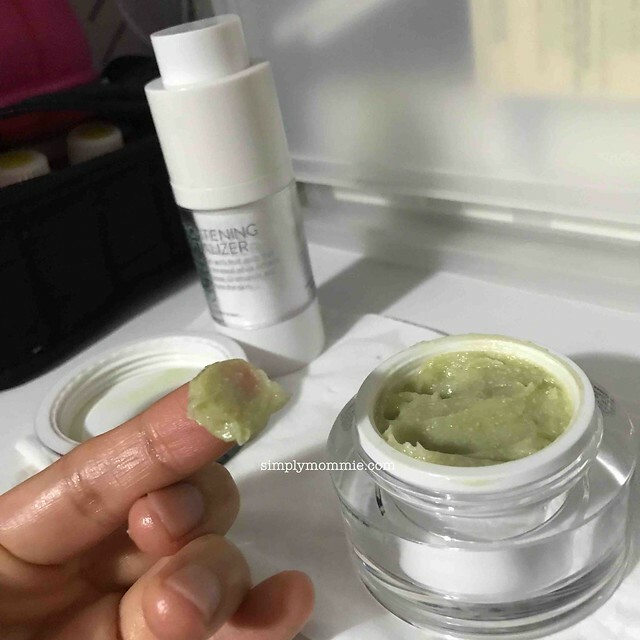 The plant oils enhance skin penetration – the oils are absorbed into the skin’s pores, dissolving the excessive sebum and loosening blackheads, resulting in deeper pore cleansing compared to other scrubs. The Purifying Scrub activates in response to the BR. The fruit acids in the BR work with the plant oils in the scrub, dissolving the ‘bonds’ between the dead skin cells on your face to speed up skin renewal, leaving your skin looking clearer, smoother, and brighter. Use once or twice a week. 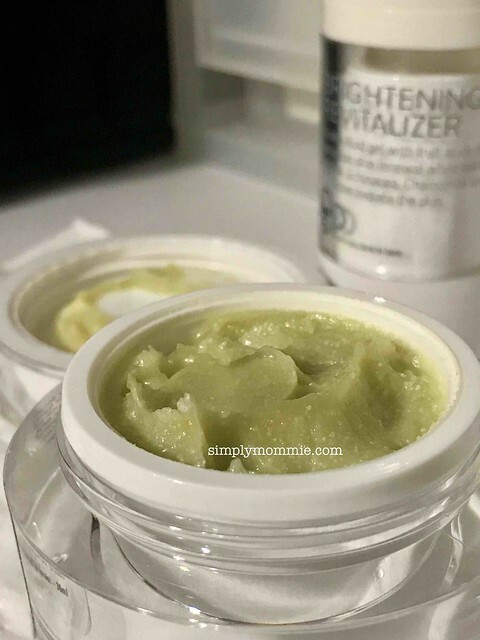 I find myself looking forward to using the scrub each week, and I secretly wish it can be used more often; but I’m aware that I should not over-exfoliate, even if the product is awesome. If you’re wondering what to get for yourself or someone close to you for Christmas, I highly recommend Dermagold’s Purifying Scrub and Brightening Revitaliser! Enjoy 15% off total cart when purchase award-winning Purifying Scrub with Brightening Revitalizer. Quote “DERMAGOLDSIMPLYMOMMIE” on Dermagold Store when you checkout to enjoy the special discount and free shipping. Valid till 31st January 2018. Also, you can sign up to be a Dermagold member for free and receive $20 voucher. Disclosure: I was invited to try out Dermagold’s products. No monetary compensation was received. All opinions are mine. This entry was posted in Beauty, Beauty and Fashion, Reviews. Bookmark the permalink.